We receive a lot of enquiries about the Must Farm site and excavations. Here you’ll find answers to the most commonly asked questions. Can I Visit The Excavation? 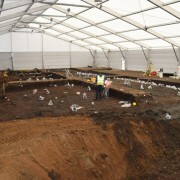 Current excavations at Must Farm have finished and the post-excavation of the finds and data is currently underway. At this time, no further excavations are planned at the site. What Will Happen to the Site? The 2015/2016 excavations were undertaken to record and remove the settlement archaeology owing to changes in preservation conditions. Over the course of the project, we recorded and excavated the material at the site alongside carrying out environmental sampling and 3D modelling. Now the archaeology has been removed the site has been reburied and will be left sealed. Where Will the Finds and Discoveries Be Displayed? The material we have excavated from the site is very delicate and needs to be safely conserved and stabilised to avoid it degrading. Once this has been done, the artefacts and timbers will be studied by a series of specialists before being displayed. At this time, it is not known where displays will take place but it is currently thought that the material will remain in the local area. We will share any further details about exhibitions when they are announced. In the meantime, you can stay up-to-date via our diary pages and social media feeds: Twitter and Facebook. What Happens Now the Excavation is Over? Now that we have finished the dig, post-excavation begins. This is a detailed examination of all the material and data collected over the year-long excavation. A large number of specialists will examine the artefacts, such as the metalwork, textiles, pottery, flint, stone, animal bone, wood and so on. 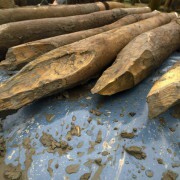 At the same time, scientific analysis will be carried out on both artefacts and environmental samples, covering areas such as scientific dating techniques, pollen analysis, soil morphology, insects and many more. This phase of the project brings together the different strands of environmental detail and will allow us to explore patterns in the evidence. Once the results are gathered they will be meticulously scrutinised by the post-excavation team and a report produced gathering together everything we know about the site. 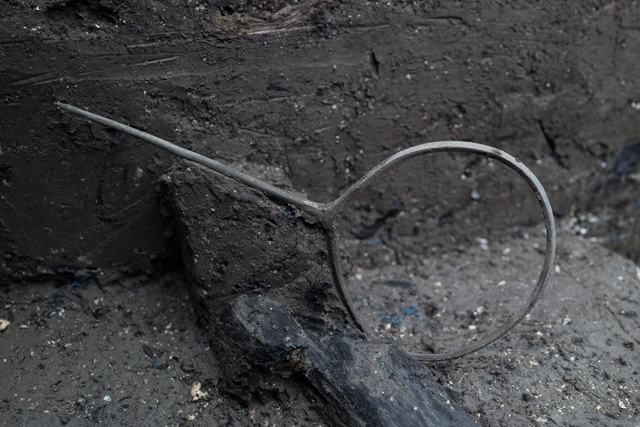 At this time, we don’t have a firm date for the completion of the post-excavation, but this degree of work and examination will take a minimum of several years. In the meantime, we will continue to update the website and social media with news about the post-excavation and its findings. Must Farm has given us one of the most complete Bronze Age assemblages in Britain. Finds included metalwork, textiles, complete pots, wooden artefacts and more. 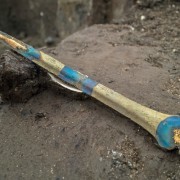 For a gallery of the finds please refer to our Discoveries page. Will You Give a Talk To Our Society/Organisation? We do give talks about Must Farm and its excavations, however the team are very busy working on the post-excavation for the site alongside other projects. We do our best to give as many talks as possible but this is not always possible. If you are interested in someone from the team coming to give a talk, please contact us and we will do our best. The Must Farm Timber Platform Project is an ongoing project being carried out by the Cambridge University Archaeological Unit with funding from Historic England and Forterra. Keep up-to-date with the discoveries we are unearthing. Find out how to get in touch, keep in touch or read more about the Must Farm project.